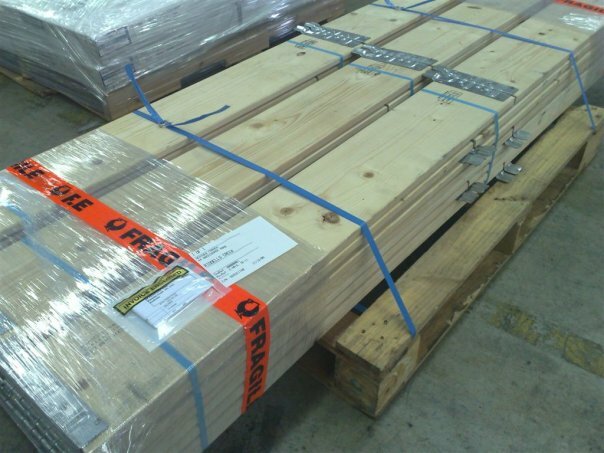 12 Pallet Collars flat packed for back loading. They contained ~99 ft³ (2.8 m3) of goods. Use this low cost, standardized, yet highly flexible modular transport packaging system throughout your whole supply chain from transporting raw materials, Work-in-Progress, to in-house inventory handling and shipments to your customers. It will translate into lower packaging, transport and operation costs, less damaged goods and better care for the environment.